Service Leadership In Action – Will You Save Our Country Parks? Developers use a 'destroy now, develop later' approach to our shared wild spaces. ► We can use Service Leadership to rate good or toxic behavior. ► In order to do the greatest good, we must be strong or not weak in our Competence, Character and Care. ► Exercising Service Leadership can happen independently or with a group already doing what you care about – when will you get full-on? Let’s try to explain what’s wrong with this picture. I am laying the foundation for how Service Leadership can help us better understand how people interact. I introduced the 3-Cs of Service Leadership, which are our Competence, Character and Care, saying that great service leaders make sure they’re not weak or corrupt in these elements. In this post, I will show how we can use this model to rate activities currently leading to the destruction of Hong Kong’s limited wild spaces. Hong Kong has stunning trails, forests and hillsides. Anyone who has been beyond the urban jungle easily finds real jungles with incredible fauna. Thankfully, people can head to the lush country parks when they want to escape from the noise and concrete. 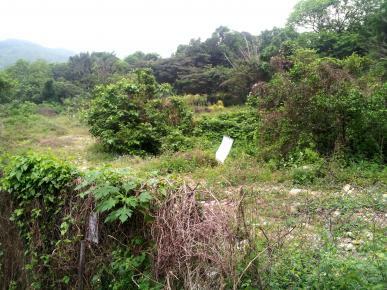 Unfortunately, since land is at a premium, when property developers throw their financial weight behind new developments Hong Kong’s green spaces suffer. For example, the small village of Hoi Ha in the Sai Kung district has been the center of numerous battles between developers and residents. On the one hand, the developers want to develop plots of land – regardless of where they are or the impact on the environment. On the other hand, concerned residents are fighting to protect Hoi Ha from permanent destruction. The same such battles are happening across many areas in Hong Kong’s Country Parks. Often, private contractors raze or damage the vegetation in zones called 'enclaves,' using a tactic of ‘destroy now, develop later’. Contractors then cordon off area and erect signs claiming some kind of use for the land. This sham is often seen for what it is: a cynical abuse of the law. The next step is to submit proposals to the Town Planning Board, where new developments get proposed. This is often done before any impact studies have been made to see how damaging the impact of so many families will be. Water pollution, silt in the rivers, diverting streams, pollution from septic tanks and domestic waste, and increased levels of pesticides and fertilizers don't get considered and then the public has a month to object. The actions by people who actively damage large parts of our green spaces go unpunished, and now we can rate this scenario using Service Leadership. We can rate the actions of the people behind these developments. Service Leadership is about helping people be more competitive in how they work with and for others, and in this case the people who will benefit from these developers’ actions are far smaller than the thousands who enjoy Hong Kong’s Country Parks. The developers are high in Competence. They have the expertise and technical skills needed to run this development in ways that stays in the grey area of the law and with little consequence. They are also highly competent in investment and development, including all the skills and expertise needed to put together such a massive project. The developers, however, are low in Character. Ultimately, the level of trust they inspire for helping Hong Kong is about as low as one could want, given our shared challenges when it comes to sustainable living. The qualities in their character that result in this kind of behavior aren’t the kind that any society would benefit from if everyone were to act in that way. That kind of selfishness is simply toxic. As for Care, the breadth of care they have covers themselves, their backing investors, and maybe the families they would house. They certainly don’t care about the common good, the quality of our worsening environment, or that their actions are directly impacting on the survival of the wildlife already there. This scenario isn’t fiction; it’s happening across Hong Kong and it’s happening around the world. As a needed antidote, groups like Save Our Country Parks, Friends of Hoi Ha, Friends of the Earth and others are doing their best to counter these toxic behaviors. ► WHAT DO YOU REALLY CARE ABOUT? WHAT TOUCHES A DEEPER NEED INSIDE YOU? IT DOESN’T MATTER WHAT IT LOOKS LIKE OR WHAT IT MEANS FOR YOU, BUT TRY GETTING CLEAR ABOUT WHAT’S IMPORTANT AND HOW YOU CAN MAKE A DIFFERENCE. WHAT’S STOPPING YOU FROM GETTING FULL-ON?